In a world where every passing fancy is documented in tweets, status updates, and Tumblr posts, poetry isn't exactly the most modern form of expression. Or is it? We've compiled our favorite incarnations of web-savvy poetry; whether they stir your soul (or knock on your funny bone) is up to you. Google is the friend that knows your secrets, your guilty little obsessions, and the concerns you share with no one — no one except the all-powerful search engine, that is. But did you know that poetry, like barrel rolls, is among Google's many hidden talents? Google Poetics compiles screenshots of searches where the suggested entries are intriguing enough to qualify as poetry. Since the search engine is constantly updating itself, the "poems" are always evolving as well. 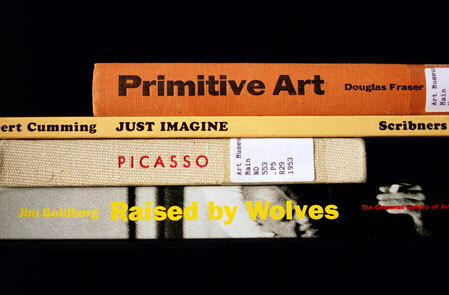 Dating all the way back to 1993, Nina Katchadourian's Sorted Books project involves taking a few books and arrange their titles in a manner that is pleasing to the poetic eye. Anyone with a bursting bookshelf can do it, and with its thriving fanbase on Tumblr and Instagram, there's always an eager audience. How does poetry translate into app form without getting dumbed way down? Well, it doesn't. 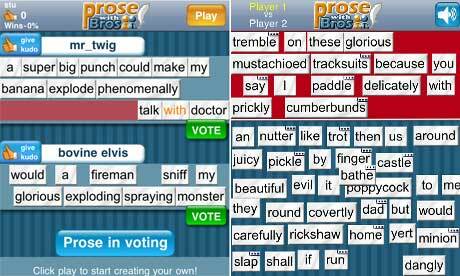 As you can no doubt tell from its name, this app is aimed at frat boys — an unorthodox breed of poet. Users compete to make the most vulgar lines with the words allotted; essentially, it's dirty refrigerator magnet poetry with points. But who knows? This could be the beginning of a long line of poetry apps, and perhaps they will mature over time. Let's just hope they're not stuck in the purgatory of phenomenally exploding bananas. 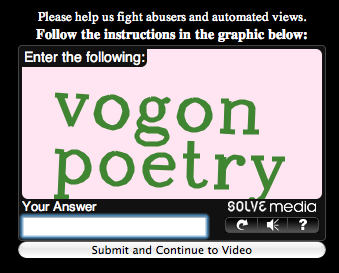 Captchas, those random security words that ensure you're not a spambot, are the bane of many an internet user's existence. Especially if that Internet user has poor eyesight. But one man's thorn is another man's found poetry: Tumblr and Twitter accounts have materialized, taking these brief, garbled phrases and making something coherent, even eloquent out of them. What can you see in these seemingly nonsensical combinations? That all depends on your poetic insight. And your sense of humor.